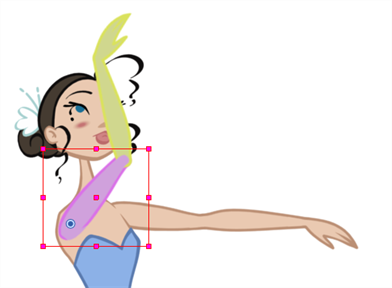 If you want to flip a part, a limb or a whole puppet, use the Transform tool and the Flip Horizontal and Flip Vertical options. If the Scaling parameter is not set to Separate Scale, the flip is not applied to the selection. In the Tool Properties view, make sure the Peg Selection Mode is disabled. 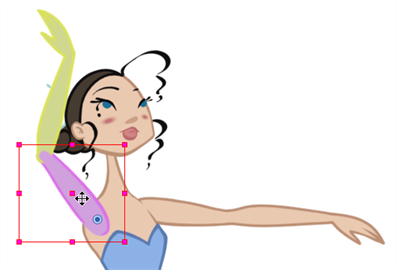 In the Camera view, select the parts to be flipped. In the Tool Properties view, click the Flip Horizontal or Flip Vertical option or press 4 or 5 respectively.